Colours of the Aboriginal Flag 2, 2017, single bed 133cm x 188cm, location of coloured square in each 9 patch is random. Given to Swanleigh hostel for Aboriginal students. 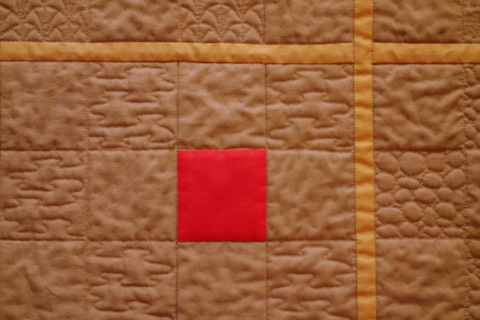 Red squares randomly placed in each 4 x 4 block. Free-motion quilted textures – spinifex, palm fronds, mangrove shoots etc. 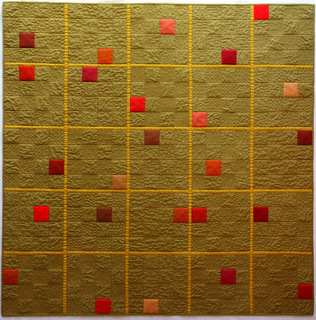 Exhibited at the 2014 stitched and bound juried exhibition, Perth, Western Australia. 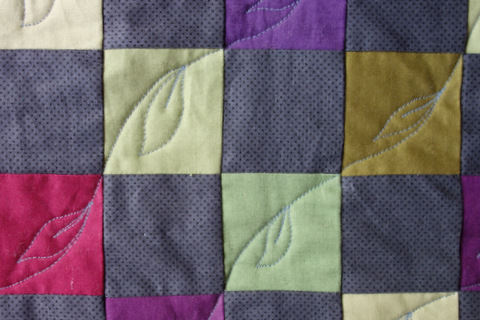 Accepted for the ‘Art Quilt Australia 2015’ juried exhibition. Now in a private collection. 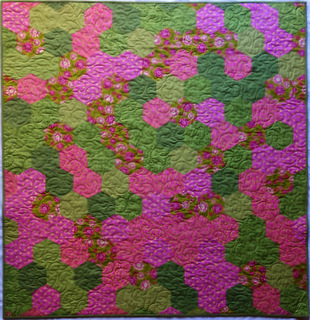 Random Rose Garden, 2013, lap size, placement of 6 different fabrics was at random in a hexagon grid. 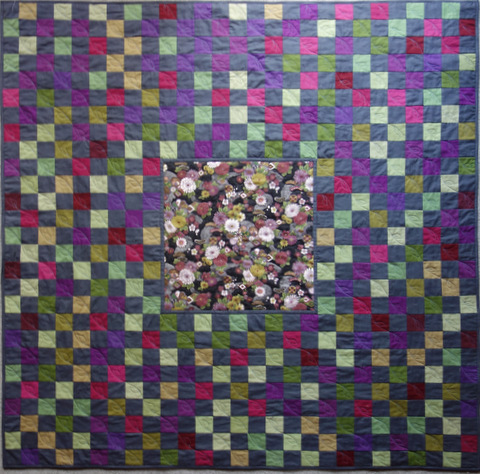 Given to friend Marian Kemp.